Pop star Ariana Grande apologizes to Rapper Kanye West on Twitter saying it was a joke after a battle between them. 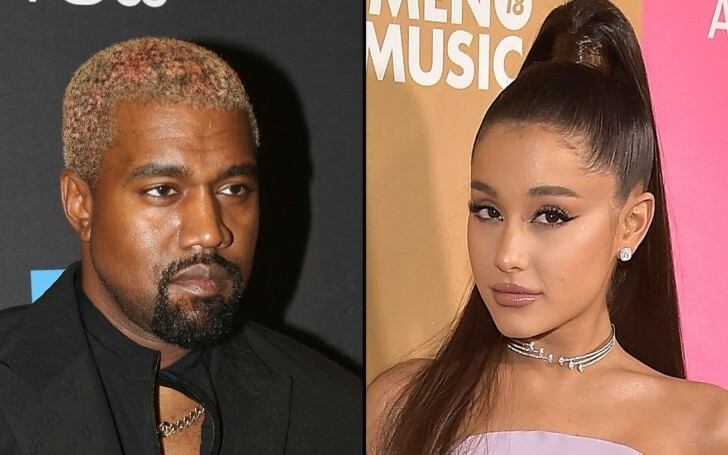 Singer Ariana Grande recently apologized to Kanye West on Twitter mentioning her previous tweet regarding the rapper was just a joke. The feud has enlarged so enormously to the point that it ended up making Pete Davidson leaving what is considered as a suicidal note on his Instagram story. Scroll below to discover the whole battle that has been happening lately between these celebrities. It all started when Kanye was tweeting usually like he always does. The only difference is that Kanye was calling out another fellow Rapper Drake this time. But, unfortunately, Grande had no idea what was coming ahead of her not knowing that her tweet could be misinterpreted. "I know Ariana said this to be cool and didn’t mean no harm but I don’t like even slightest level of slight commentary from someone I know loves and respects me"
"All of this foolishness weighed on my mental health so @ArianaGrande you know I got love for you but until you’re ready to really make sure everyone’s ok don’t use me or this moment to promote a song"
"with all due respect, i don’t need to use anyone to promote anything. period. i was making a comment ab what men were doing at the time vs. women. it was a joke which i understand now was probably insensitive. i apologize if i was in any way triggering and hope u feel well today." "People will no longer take mental health for a joke"
However, Ariana has now deleted her tweets concerning the feud with Kanye. "Bravo Kanye West for standing up for yourself and speaking out against mental health. I can’t explain to you enough how difficult and scary it is to be honest about stuff like this. We need people like Kanye. No one should ever point fingers at you for your bravery in speaking about mental health. I’m seriously disgusted." "I really don’t want to be on this earth anymore." "I’m doing my best to stay here for you but I actually don’t know how much longer I can last. All I’ve ever tried to do was help people. Just remember I told you so." Thankfully, Pete is now safe and was reportedly handled and cared for by the New York Police Department. "I love that we are destigmitizing mental health Gucciman and Quavo have a song Bipolar this is so good for culture"
Ariana now has sent love to Pete and even told her fans to be gentle with everyone on & off the internet. As per reports, Ariana is now currently at the SNL sets to support him and in case if he needs her although the pair broke up last month.